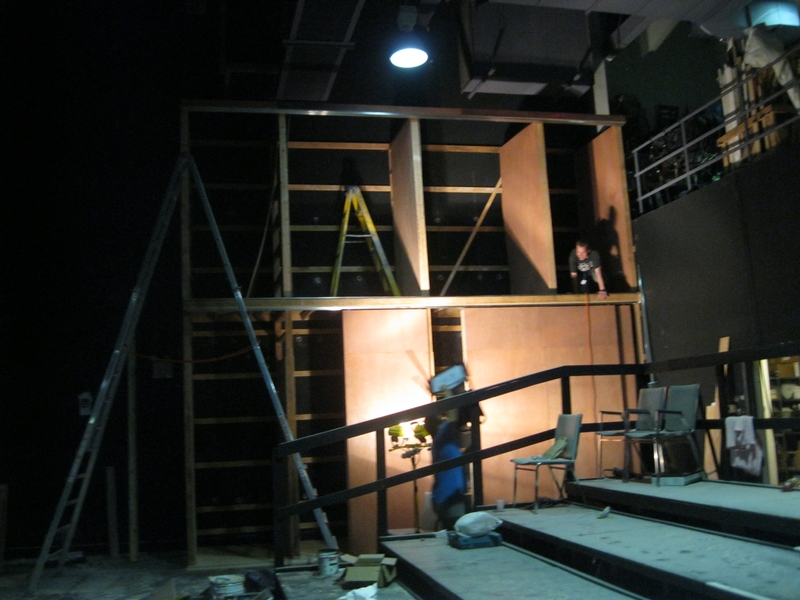 We’ve been building a storage unit in our Black box Theater over the last few weeks. The storage unit in the theater is nearly complete! Our crew has worked for 6 days in the non-air conditioned theater to complete the project. The unit includes a sliding door system for maximum safety, which you can see being installed in the photo. Over the next few weeks we’ll be building shelves inside the unit, and painting it black. And don’t worry. The air conditioning will be back in time for our next performances!